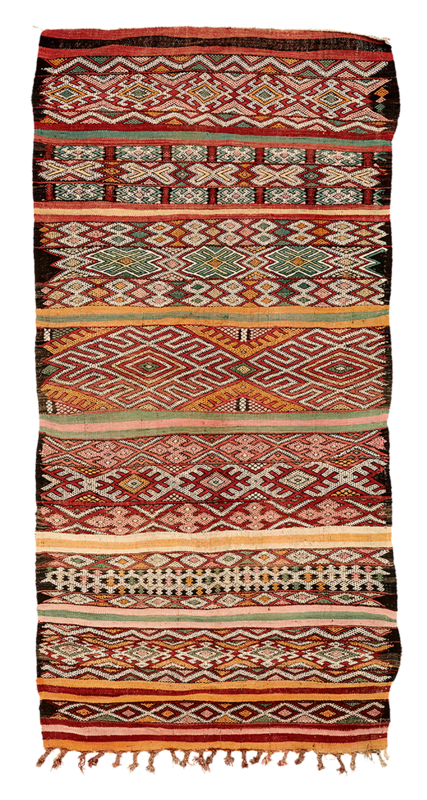 A powerful Middle Atlas Moroccan flatweave rug, probably from the Zayan tribe. Crafted from thick wool, embroidered with geometrical designs, and with a charming African character. This vintage tribal piece possesses a very vibrant radiance.